So, Thanksgiving is coming up, and while most people look forward to turkey, stuffing and mashed potatoes, I look forward to the deviled eggs! 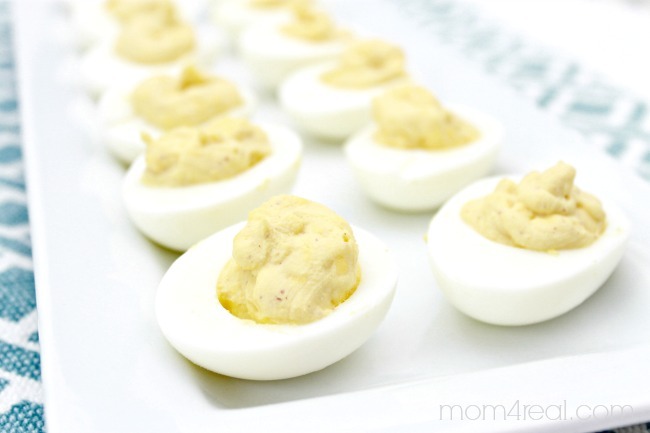 Seriously…what is better or says “get together” like a deviled egg? 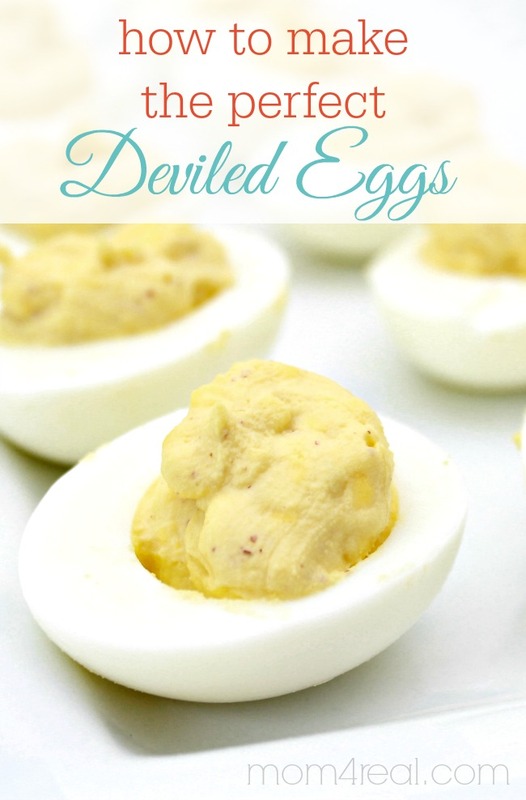 Deviled eggs are like the icing on the cake of any get together for me. So…I’ve tried to make deviled eggs about a gazillion times, and they usually turn out, well…meh…not so hot. I set out on a mission, and have finally figured out how to make the perfect deviled eggs. They will make your house smell awful, but oh my goodness…they taste like pure heaven! 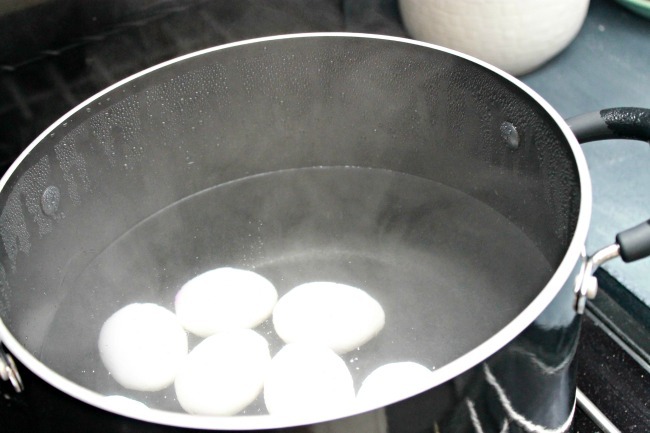 Start by putting 12 eggs into a large pot of cold water. Bring to a boil. Once the water starts boiling, remove the pot from the stove and let sit with lid on for 20 minutes. 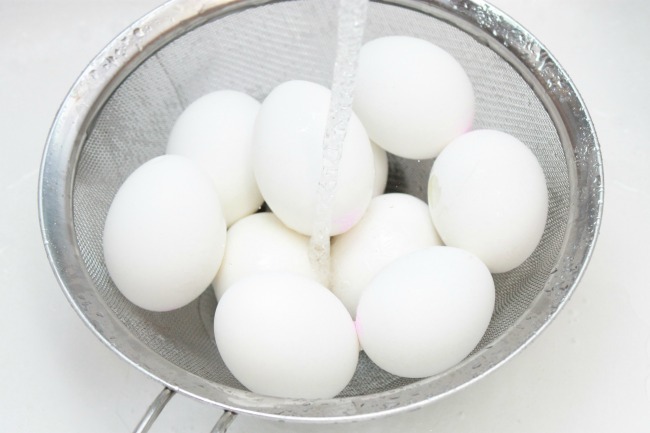 Rinse the boiled eggs in cold water for a couple of minutes. Now take each egg and squeeze a little, breaking the shell around the egg a bit, then let them sit in cold water for three minutes. Then, peel the shell away…it should come off without breaking the whites of the egg. 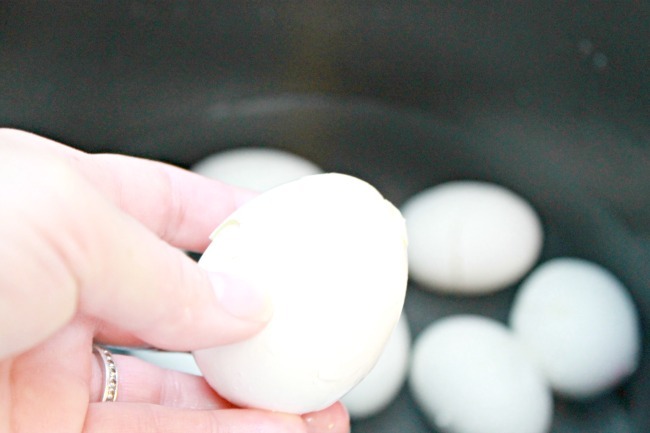 Slice each egg in half using a knife and pop the yolks into a bowl. One all of the egg yolks are out, add 4 tbsp. of mayonnaise and 2 tsp. of whole grain mustard. Smash the yolks and mix all together really well. Then, scoop the mixture into a baggie and cut one of the corners off. Squeeze a little bit of the yolk mixture into each 1/2 egg. Place them on a plate and watch them disappear! Best. Deviled. Eggs. Ever!!! 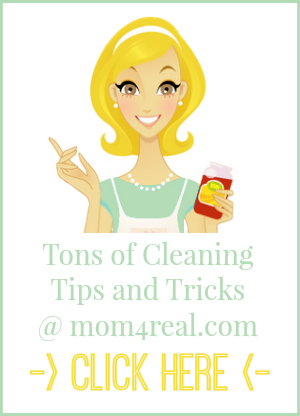 Want to know how to peel your boiled eggs in seconds without all of the mess and shell breaking? Check out my quick video below! I make my deviled eggs the same exact recipe except I use Miracle Whip instead of Mayo…I like tangy yet slightly sweet deviled eggs! 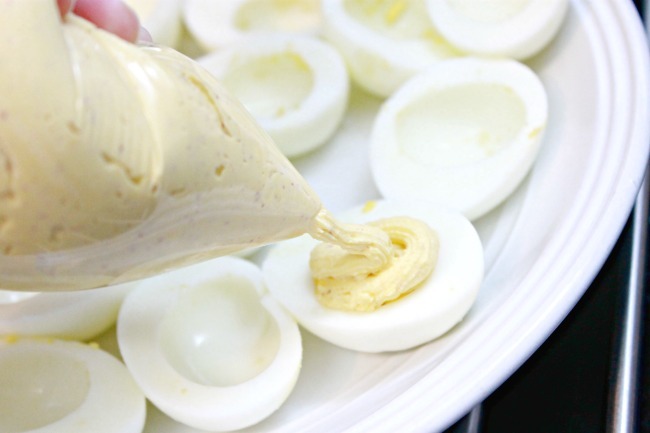 Miracle Whip is the secret to my fabulous deviled eggs! I put a little bit of tuna in mixture then add a parsley leaf on top it tastes fantastic!! So, what is the difference: Leave eggs in water 10 minutes for hard boiled or 20 minutes for deviled eggs?